Did I grab your attention with the title of this post? Good. I assure you this isn’t a click-bait piece. I get a lot of people asking me how I always find good bargains, especially now that I have a few designer items that have creeped into my collection!! 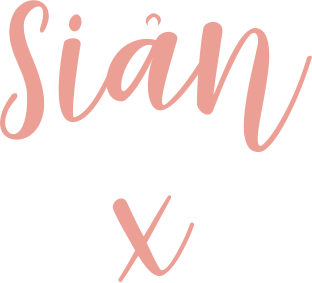 It might seem impossible to you but I promise – how I afford designer pieces isn’t too difficult, so if I can do it – so can you! This post is part of a new category for my blog which is all about saving money. If you haven’t done so already, I suggest you subscribe to receive updates – as you’ll be the first to hear about the latest bargains in the fashion and beauty world! So now for the info you’ve been waiting for – read on to learn just how I afford designer pieces. FYI – This post isn’t going to tell you how to get rock-bottom prices on designer swag. It’s just a helpful guide for those who want to pick up these items who can’t afford to just pay out for them like it’s nothing. Despite what you might think, my wages are not sky high. I work in the public sector and am comfortable, but not comfortable enough to afford new designer swag each month. To top up my income, I work as a copywriter. I write blogs for other people and I work bloody hard at it. This money is essentially my spending money and I might not have much life on weekdays to do it – it’s worth it to get what I want. I am also a very shrewd bargain hunter. I barely ever pay full price for anything, so I’m able to stretch my income more than the average. 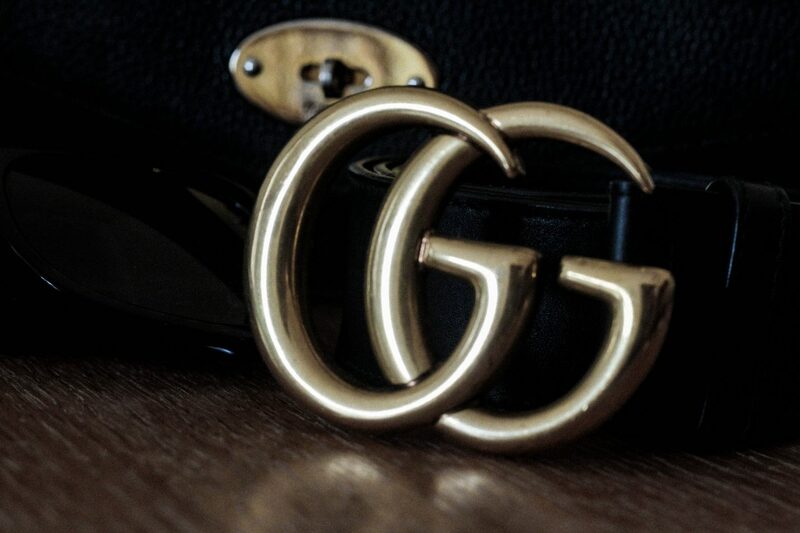 The first thing to getting your hands on designer goods is working out what you want. From there you can work out who sells your coveted item, which opens even more possibilities. Some examples to help you out: Mulberry is sold at House of Fraser, John Lewis, Selfridges, Net-a-Porter and it’s own store. 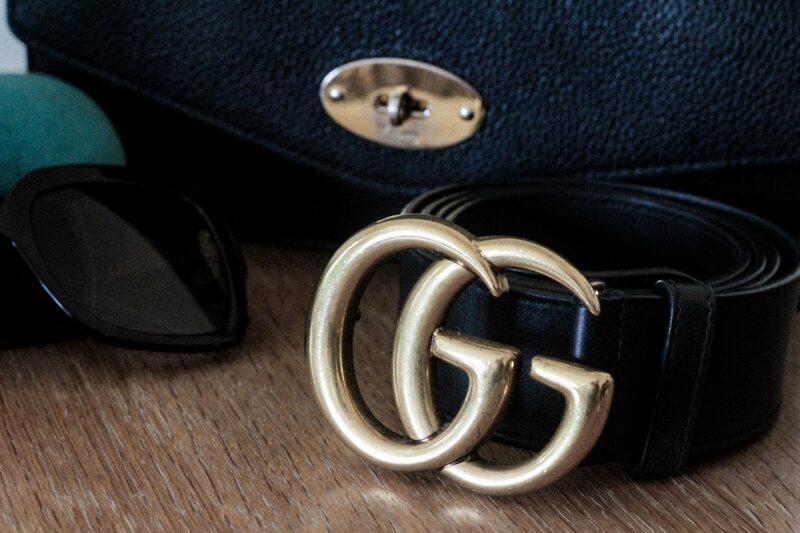 Gucci can be bought at Selfridges, Net-a-Porter, Farfetch and others. Kate Spade is sold at House of Fraser, ASOS, Amazon, John Lewis and elsewhere. So you’ll see that you have more options available to you than just the brand’s own store. The likelihood of grabbing a bargain from their own site is almost impossible, so don’t waste your time. 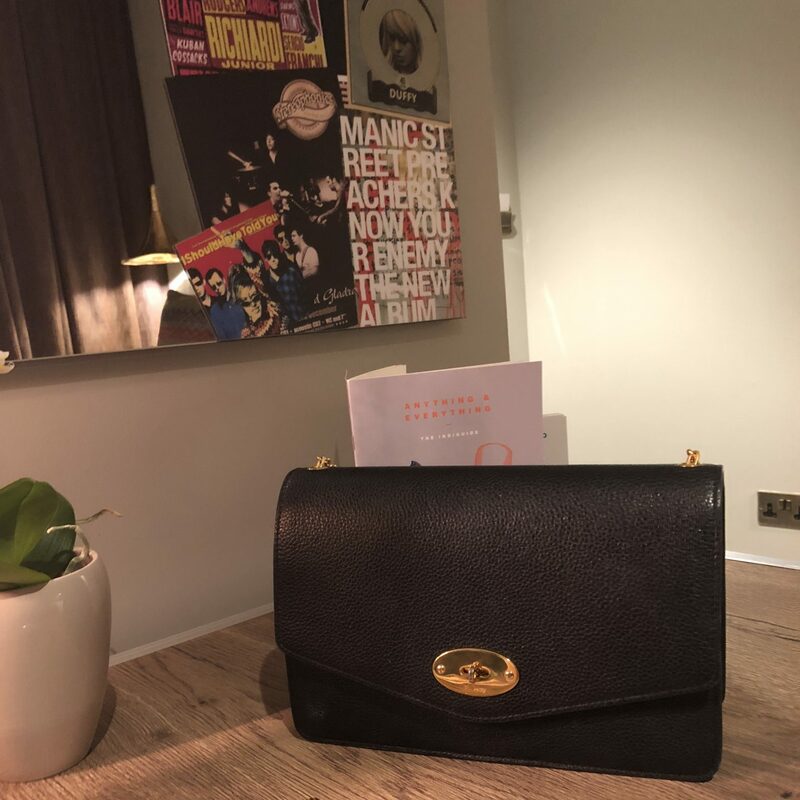 I was determined to buy a Mulberry handbag for my 30th birthday. I settled on the Darley which at the time was £650 (now £695) and put a plan into place. If you haven’t already signed up for TopCashback – I suggest you use this link to get started (you’ll get a £5 Zeek voucher courtesy of my referral – you’re welcome – plus, more on Zeek later). TopCashback is a portal through which you search for stores and use their links to then go to your favourite online stores. It’s so easy and once you get into the habit – it will be automatic. Essentially, when you use TopCashback, you receive a percentage of money back for what you’ve spent. This is all accumulated in your TopCashback account, ready for you to convert into cash and vouchers. You can use it on your PC or your mobile (there’s an app but it’s easier to go straight to your browser). Once you’ve linked out to your shop, you just shop as normal and wait for the email to say you’ve received cashback in your account. It might feel like a slow burn to get your money, but trust me – I’ve made nearly £800 so far from it. When you use it for things like a new mobile contract, Sky subscription or insurance – you can get as much as £100s in one hit. For not much effort, it’s absolutely worth it. You can even share your own referral link to add more money to your account. Once you’ve accumulated some cashback, you can convert your earnings to cash in your account or vouchers. Always choose vouchers. You can swap them for vouchers to shop at places like Amazon, House of Fraser and Topshop, and Topcashback will ‘top up’ your earnings a few percent – making your earnings stretch further. But here’s where you should really use your earnings – Zeek. Zeek is a retailer that sells gift cards. Big deal right? Except the gift cards are discounted. So in some instances, you can save as much as 15% on a gift card, making one worth £500, just £425. I got some amazing deals on Selfridges ones to buy my Gucci belt, so it was like getting a 12% discount on the belt – cool, eh? I had over £100 in Topcashback credit which I increased using Zeek, and then benefited from extra discounts – and you can do it too. Use my Zeek referral to get another £5 off your first order, and then share your own referral to get £10 for each friend who joins. There’s no catch and they send loads of discount codes to save even more money on your vouchers. I have an ongoing ‘luxury fund’ direct debit of £30 which goes into a savings pot, which soon added up to afford the rest. That, with gift vouchers given as birthday presents is how I afforded my goodies. I also used this trick to buy my wedding ring, FYI – clever old me! Shoeaholics sometimes sell STUART WEITZMAN shoes. It’s no joke. Last Christmas I bought a pair of beautiful leather over the knee boots that were £800+ for under £260. I couldn’t leave them there could I? Save things to your ASOS and House of Fraser wishlists. Their sales are incredible and if you’re quick you can get items for far less. £250 leather jacket for £50? I’ll take that. House of Fraser is a good place to pick up Kate Spade, Tommy Hilfiger and Ralph Lauren for less. I knocked £60 off my Ralph Lauren trench coat that was a gift from Scott for my birthday! Put a set amount of cash onto a gift card each month for places like Net-a-Porter or Selfridges. It’s money you can’t touch and is a great way of saving for designer items. Some of my purchases have been down to sheer luck, but others I can say are through some clever bargain hunting and perseverance. You know that wishlist I talked about at the beginning? Now see if you can bring the price down off these items using the tips above. Get your lusted-after designer items without sacrificing your rent or getting into debt! Do you have any money saving tips to share? I’d love to hear about your designer bargains! Let me know if you’ve got questions for me too – I love sharing money-saving advice! Black Friday 2018 Deals List! This post contains affiliate links. This means when you click a link, I get a few pennies. It costs you nothing and doesn't change your shopping or browsing experience. Loved this post! I would recommend the vestiaire app to purchase second hand authentic designer goods. I bought a gorgeous LV Neverfull from there. Thank you for the tips re topcashback and zeek!